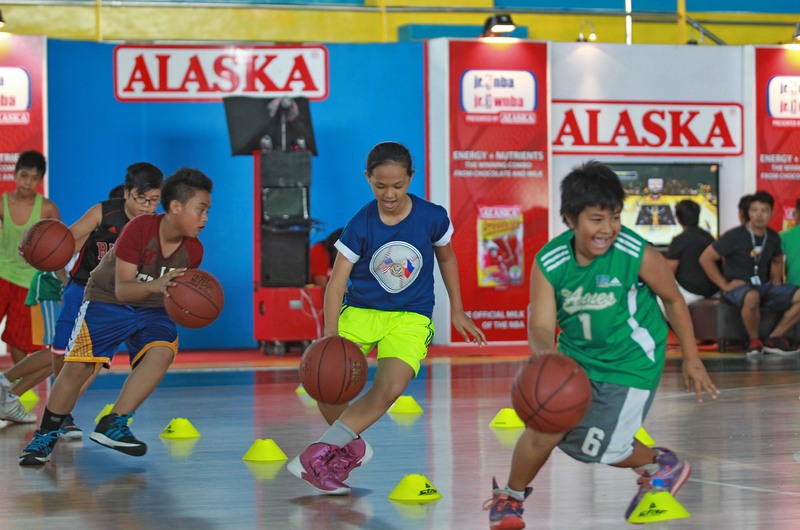 Alaska continues their partnership with Jr. NBA this year to nurture young boys, and girls, become better individuals and encourage them to embrace a healthy lifestyle not just by drinking milk but also by leading an active lifestyle through sports. Last March 9, 2014 at the Muntinlupa Sports Complex, over 400 aspiring champions joined the Jr. NBA/ Jr. WNBA presented by Alaska school clinic. Become a champion too and join Alaska’s sports programs now! NUTRITION.ACTION.CHAMPION. For more information on Jr. NBA Philippines visit http://www.jrnba.asia/philippines. Alaska Basketball Power Camp visit: http://www.alaskapowercamp.com/basketball and for live Twitter updates, follow: @ALASKAsportshub.